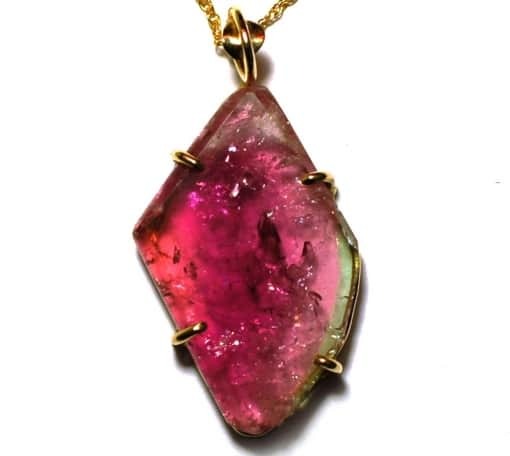 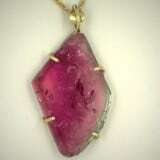 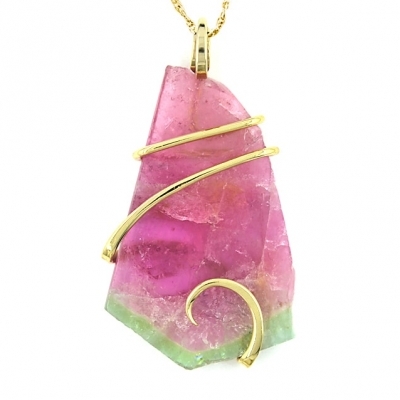 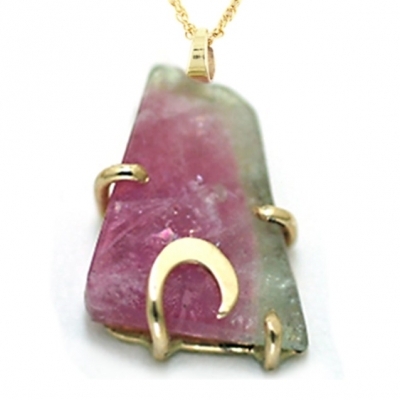 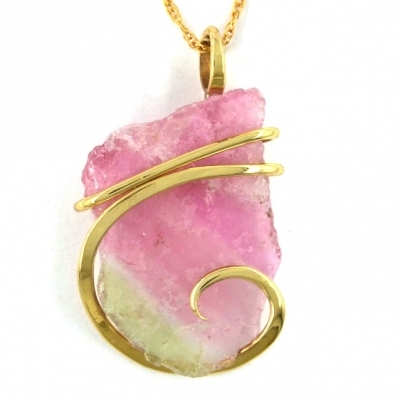 Maine watermelon tourmaline pendant handcrafted in yellow gold. 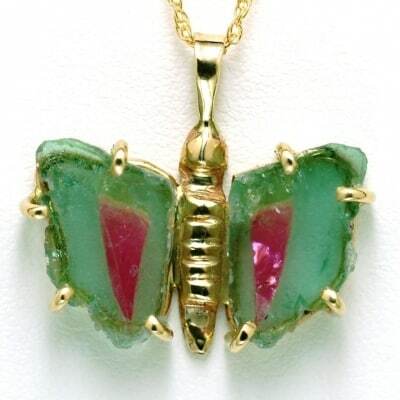 Maine watermelon tourmaline pendant handcrafted in yellow gold. 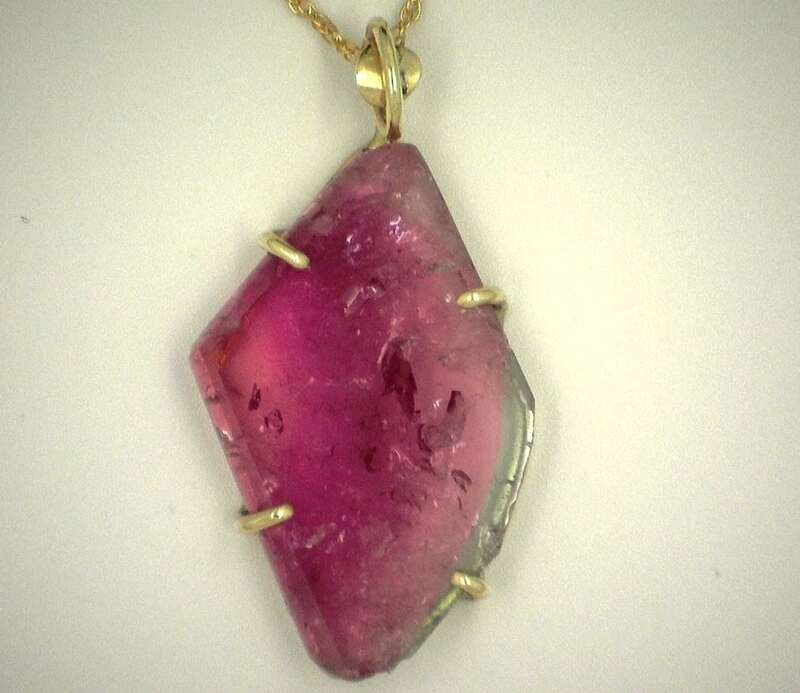 21.05ct Chain sold separately.